When an outsider thinks about commercial property, they think about industrial buildings and maybe retail buildings. But in reality, there are many different types of commercial real estate. Each of them have different purposes and have specific classifications. 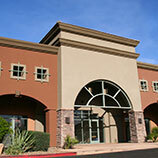 Before you start your hunt for a commercial property, make sure that you know what kind of building you are looking for. These buildings are usually about 80,000-400,000 square feet and can include mid-rise to high-rise structures. They can be found both inside the city or just outside of it. They are categorized in 3 different groups; Class A, which is the best of the best when it comes to the construction and the location of the building, Class B, which can have high quality construction but may not be in a desirable location, and Class C, which is everything else. These are your warehouses and manufacturing structures. 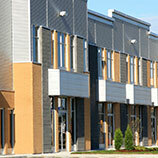 Industrial buildings are usually customized to fit the needs of the owner and their business. You will find that most of these buildings are large open areas and can be filled with heavy machinery. Categories of industrial buildings include heavy manufacturing. This one usually requires a lot of renovation to re-purpose for a new tenant. Light assembly can include storage, office space and product assembly under one roof. Flex warehouses are easy to convert and can be a mix of both office space and industrial space. Finally, there are Bulk warehouses. These can range from 50,000-1,000,000 square feet and are usually used as distribution centers can can be easily accessed by large shipping trucks. Everyone is familiar with at least one type of retail building. We all go out shopping. But there are different types to consider when you are looking to buy for yourself. There are strip centers which are usually held together with an anchor store like Walmart or Target. A restaurant or small clothing store would be perfect here. Community retail centers are larger versions of strip centers. They have more than one anchor store and a lot more restaurants and other smaller stores around them. 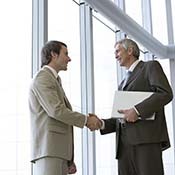 Power centers are the largest of all. They seem like an outdoor mall more than just a standard shopping center. You can find at least a handful of big box retailers with the smaller stores and restaurants all around. Power centers also have several out parcels. Out parcels are stand alone buildings with their own parking lots. These are typically places like fast-food restaurants and banks. Finally, there are malls, prime location if the mall is the place to go for all of your shopping needs. Malls are usually enclosed spaces and have anchor stores like Best Buy or Macy’s. We talked about these in our last blog. There are different types of apartments complexes including garden apartments which are typically 3-4 stories and have 50-400 units. Mid-rise apartments are 5-9 stories with 30-110 units and an elevator. High-rise apartments are obviously tall buildings typically in a downtown area and have more than 100 units. When you are looking for the perfect commercial property for you and your business, it is important to know what kind of building you will need. Call North Bay Property Advisors today for more information.